For years Facebook and Messenger were so deeply intertwined, you couldn’t have one without the other.On Wednesday, Messenger began letting people without a Facebook account sign up for a Messenger account on iOS and Android. In the USA, Canada, Peru and Venezuela, you will see an option on the welcome screen that says “Not on Facebook?” Click on it and you can sign up with your name, phone number and a photo. Facebook still encourages people who already have accounts to use their Facebook credentials. Messenger is trying to reach Facebook holdouts, whether they have never signed up for an account or have deleted their accounts. Getting holdouts onto the service will improve the Messenger experience for all users, said David Marcus, Facebook’s vice president of messaging products. This is just the latest step Facebook is taking to dominate the crowded market for messaging. Messaging is quickly supplanting email as the preferred mode of communication, especially among young people. Messenger fits into Facebook’s broader strategy to embrace how people use mobile phones by building a company of apps, some of which don’t require a Facebook account to use. Messenger was introduced as a standalone product in 2011, and Facebook officially unshackled Messenger last August. That’s when Messenger began requiring users download a separate app to send and view Facebook messages on mobile devices. Since then Facebook has been adding new features and capabilities to Messenger, vying to become the No. 1 place people have one-on-one or group messages online. Messenger now allows you to instantly send payments to friends by linking your debit card to your Messenger account. 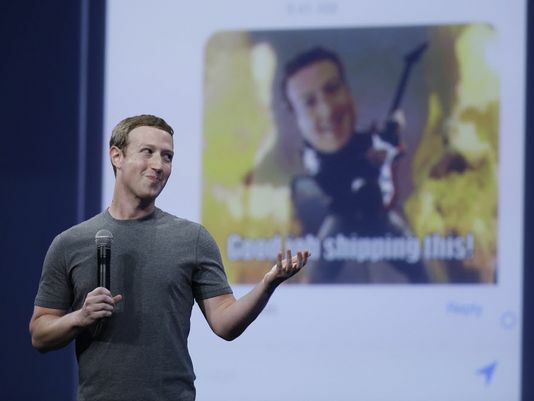 And, at its annual developer conference in March, Facebook opened up access to Messenger for developers to build new apps that make it easier for people to express themselves on the service, say by turning text messages into songs or sending an animated GIF. Messenger has flourished on its own. It’s now 700 million strong, neck-in-neck with WhatsApp, which Facebook bought for $22 billion in 2014. And Messenger is one of a few apps that has been downloaded more than 1 billion times on Android devices.